Atom technology is a tech company who focuses on customization of mobile app development and specifies in unique UI/UX design, visual branding as well as marketing strategies consultation. As an app development Company, we truly understand the importance of app UI/UX design and market trend, therefore, Atom provides professional consultation to clients before any investment involved. Mobile app development is like starting a restaurant, we do not only make sure every department and function are well developed and tested, but also cost effective and value-added. We are an experienced app development hong kong team who can meet different requirements of our clients. 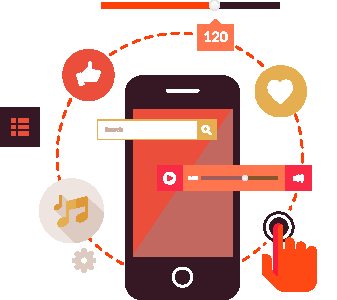 We are not only an experienced app development company, but also a versatile IT company. We do not only provide excellent app user interface design, but also offer outstanding user experience and mobile app development from client requirements. We provide cost effective, fast and reliable one-stop server hosting and management services. We All-around mobile app management and after sales maintenance services. We are sophisticated in building any types of custom made CMS and CRM. What did we develop for A day magazine? What did we develop for Cheers? Brand visual identity, app user interface and user experience, iOS and Android app development, content management system, client relationship management, online payment and global positioning system, etc. What did we develop for Spark? App user interface and user experience, iOS and Android app development, control panel for all smart electronic devices. What did we develop for Xingbao? © Atom Technology Holdings Co., Limited 2019. All Rights Reserved.